It’s time for power to go back to where it belongs; to the people. With politicians and the business elite making all our decisions for us, we are losing our freedoms each and every day, and our standard of living goes down with that loss. 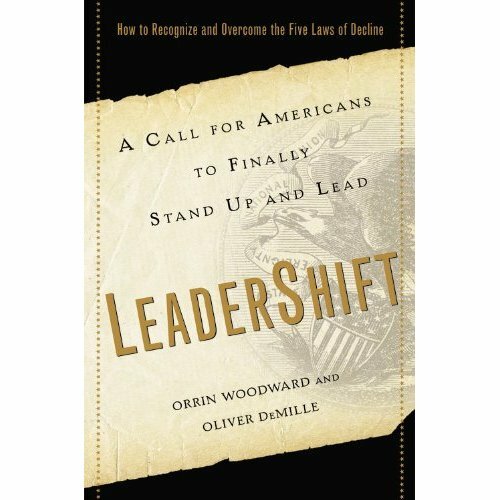 LeaderShift, by Orrin Woodward & Oliver Demille, is a call for people to stand up and become who they need to be in order to take back our freedoms and prevent it from being lost again. It in no way supports Republicans, nor does it support Democrats; it supports the American people (and Canadian if you read it from my perspective). It is written in the form of a business parable about the United States, but don’t let that fool you into thinking this is just for Americans. There are a number of proposals put forth in the book that could drastically change the way we run our society, and the principles behind them can be applied to any country. It all starts with the Five Laws of Decline; If these laws are not addressed in the frame-work of a company or a nation, they will become its undoing. Leadershift will go through the details of how they apply to a nation, but the reasoning will become obvious as you go through them. 1. Sturgeons Law – 90% of everything is Crud (this includes workers, leaders, politicians…) This means that 90% of the people running for office (and being elected) can’t be counted on to do the right thing. Thankfully the other side to this law is that 10% of the people out there are good leaders. We just need to allow them to come forth. 2. 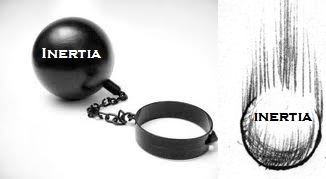 Bastiats Law – People will do the least amount of work possible to satisfy their wants. This means that if someone can get what they want without doing anything or by getting someone else to do it for them, they will. 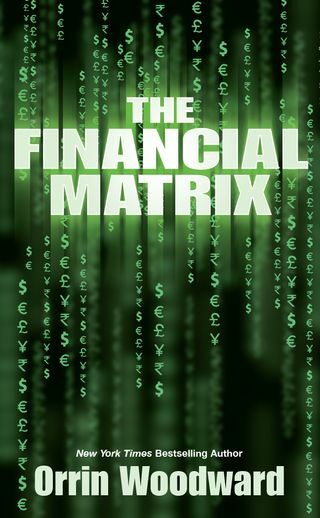 Orrin Woodward recently posted this article on his site. He did a little introduction to an Amazing article by Oliver DeMille about the need for a new party. Although this article is about the United States, I believe this also applies to Canada. Even if we do have more than one party, none are what we truly need; we need a party of small business! I’m super excited about the book LeaderShift, co-wrote by Orrin Woodward and Oliver DeMille. After reading Oliver’s FreedomShift and 1913, along with Orrin’s Resolved and Launching a Leadership Revolution – There is no doubt this book is going to be a top seller, and a book that will help change the course of our countries; in a positive direction! Get the book. Mine is pre-ordered! Through working with a group of people who understand success, what it takes to win, and learning from those who have achieved it, I have learned a lot. There are two principles that I believe really stand out, and are key. The first is key for all endeavors, while the second is key to life in general, if not all types of business. Every time I go to a leadership convention or a seminar, or anytime I read a book a leadership, they always say the same thing. You need to have a dream. In Orrin Woodward’s and Chris Brady’s ‘Launching a Leadership Revolution’, he talks about different levels of motivation, and developing a purpose. In John Maxwell’s ‘Developing the Leader Within You‘, he talks about having a vision. Although I’m still fairly new to the process, and new to studying successful people (I only started reading up on it a year and a half ago), I have yet to find someone with true success who did not first start with a dream. The dream does not have to be something outrageous (though it can help), but it must be something you want bad enough that your willing to pay the price of success. You have to want something bad enough to do what you would not normally be willing to do. You need something to motivate you to be courageous, as one of the key’s to success is courage. I have not read, or even heard, about anyone who achieved something great without coming across obstacles along the way. What is it that will motivate you? Everyone is capable of success, but many just don’t believe it’s in the cards for them, or don’t believe they have what it takes to win, or think it’s too risky. Nothing however is impossible, there just has to be something you want bad enough to make you do what you first perceived as impossible.